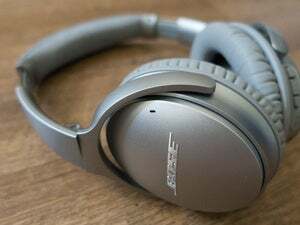 Bose’s famous QuietComfort 25 active noise-cancelling headphones are going cordless in the form of the company’s new QuietComfort 35s. But in a market already awash with wireless ANC cans, is the effort too little too late to grab the attention of music-loving/cord-hating aficionados? Having had the opportunity to spend a short amount of hands-on time with them last week at a media event in New York City, we think they have a fighting chance. Comfortable, lightweight, and offering a welcome amount of sound separation and warm bass at all volume levels, the QC35 sound pretty agreeable. 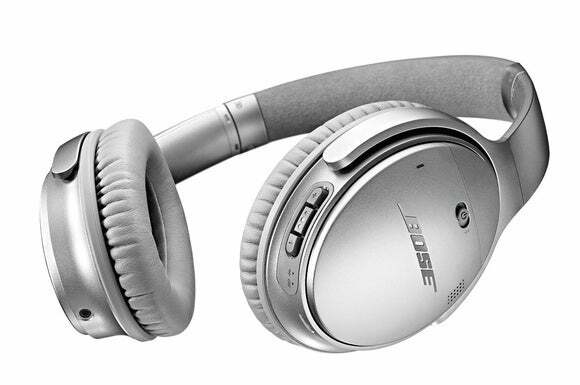 Similar in looks and heft to the company’s iconic QC25s, Bose’s QuietComfort 35 headphones are a cushy over-the-ear affair available in black or silver. They utilize four separate microphones and an ANC chipset to block out a massive amount of external noise—at least under the controlled conditions that we were allowed to listen to them in. Our full review of the QC35s will be available later this month. The new Bose QuietyControl 30, which will be available in September, also feature Bluetooth connectivity and active noise cancellation, but these are an in-ear design. In the meantime, you should know that the headphones offer Bluetooth/NFC pairing, promise 20 hours of wireless or 40 hours wired battery life, 15-minute quick-charge functionality that allows for 2.5 hours of use, and a button interface that’ll let you accept/reject phone calls or fiddle with music tracks and volume controls. 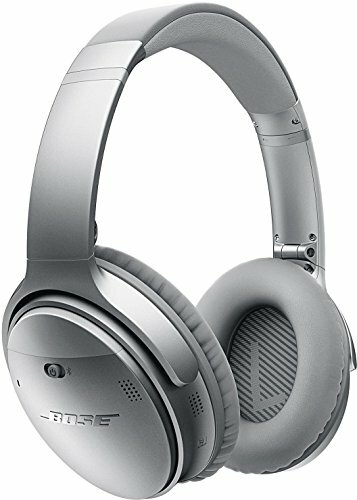 The Quiet Comfort 35 are available for purchase at Bose, as well as Amazon, for $350. Bose made news on the earbud front, too. The new Bose QuietControl 30 wireless active noise-cancelling in-ear headphones, available in September for $299, will let users block outside noise while they cram their skulls full of music. Through the use of a companion app on your smartphone or tablet or buttons built into the headphone’s in-line remote, the QuietControl 30 allows for a variable level active noise cancellation. This way you can turn the ANC down if you want to maintain situational awareness if you’re wearing them while out for a jog, or crank it up if you’re using them on the subway. To keep things streamlined, Bose packed the headphone’s battery, Bluetooth and ANC hardware into a compact, semi-rigid pod that wraps around a user’s neck. 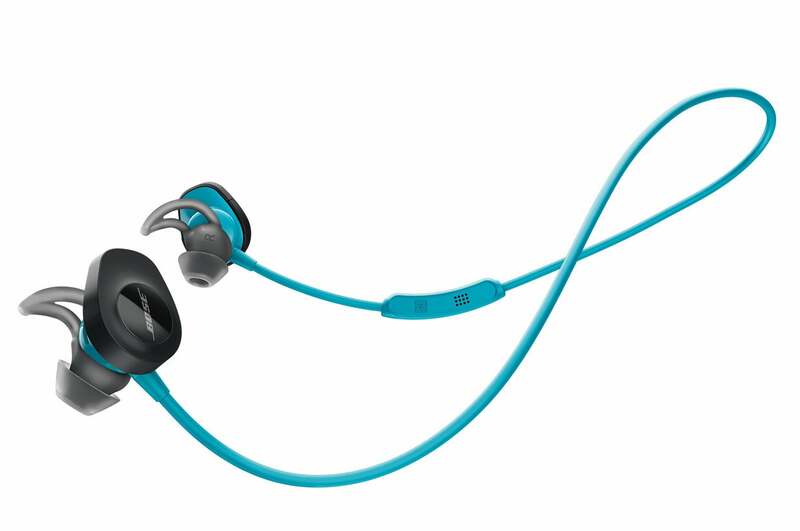 Bose is targeting joggers and sports enthusiasts with its new SoundSport wireless in-ear headphones. The company will offer a new version with an integrated heart-rate monitor this fall. Finally, if you don’t care for—or about—noise cancellation, Bose’s new exercise-centric SoundSport wireless in-ear headphones are also available today for $149. Our first impression is that they sound decent for the price, letting just enough outside sound in to allow joggers and gym goers to know what’s happening around them. But you might want to hold off on buying a pair, for the time being. In the fall, a second version of the headphones, which come equipped with a built-in heart-rate monitor—the SoundSport HR—will go on sale for $199. We’ve been told that it’ll be possible for a wide variety of fitness apps to leverage the data collected by the HR monitor, making the headphones an attractive option for health buffs. 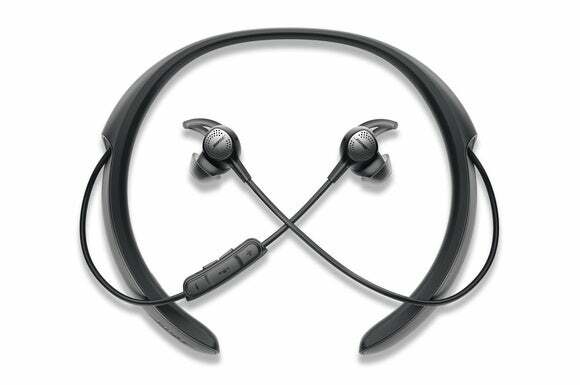 If you must have active noise cancellation, the Bose Quiet Comfort 35 wireless are the way to go. If you care more about faithful audio reproduction, look elsewhere.